Mission Statement | Enpower Corp.
Enpower Corp. owns energy assets and provides goal driven management services to energy and process industries. We are committed to safe, environmentally sound, sustainable and profitable operations by highly skilled, motivated teams. Enpower Corp. provides a progressive environment for our employee’s where continuously improving skills and customer satisfaction are recognized, rewarded, and drive our growth. In partnership with our customers, we deliver solutions to complex business problems and create value by implementing thoughtful change. Safety is of the utmost importance. 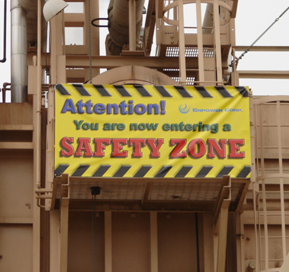 We take action to ensure safety is not compromised for production. Pride of Ownership is integral to our daily behavior. We are caretakers of the environment and hold ourselves accountable for the products and services we provide. We are a performance driven organization. We use meticulous goal oriented processes to provide sustainable and profitable solutions. We have a flexible and responsive culture. We promptly and effectively adjust to the changing needs of market conditions and our stakeholders. We embrace trust as fundamental in business relationships. We act in a manner to earn total confidence in our integrity, ability and judgment. We respect and recognize the individuals on our team. We encourage and promote personal growth, wellness and work/life balance.